All eligible contestants had to leave a comment saying which SATC character they resembled most. Kb's response was: "I would love to win as I'm in NY atm! I think I'm a Carrie, due to her eclectic dress sense and analytical nature." Congratulations! I'll be emailing you very shortly with details on how you can claim your prize. Now, on to an announcement pertinent for my Vancouver readers: Yaletown Fashion Day is happening tomorrow from 11am to 6pm at the Yaletown Galleria (1058 Mainland St.). A $10 ticket will get you 50% off beauty services (makeup application, eyebrow shaping, blow dry, manicures), complimentary refreshments, a gift bag, and a chance to win some cool door prizes. Check out their website for more info. 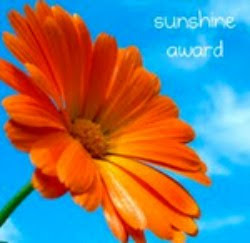 And finally, gorgeous blogger Fur Elisse gave me this Sunshine Award. Thanks Elisse! Link to the nominees within your post. Let them know they received this award by commenting on their blog. I guess I'll wrap things up by wishing everyone a happy Friday! What are you up to for the weekend? Aw, thanks, Lisa! That's so sweet of you! Makes my day, for sure. Awwwww, thanks lady. Your the best. The BonBon Rose Girls love ya to pieces! and r u going to the yaletown fashion day thing? i could use some eyebrow threading lol. not sure if i'll have time tho. lemme know how it turns out if u go. post some pics! Congrats on the award, Lisa! And thank you for the book recommendation! Congrats on the award you deserve it! Thanks, I'm so excited for my day of Cosmopolitans!